DAVID LE/Staff photo. 3/4/15. 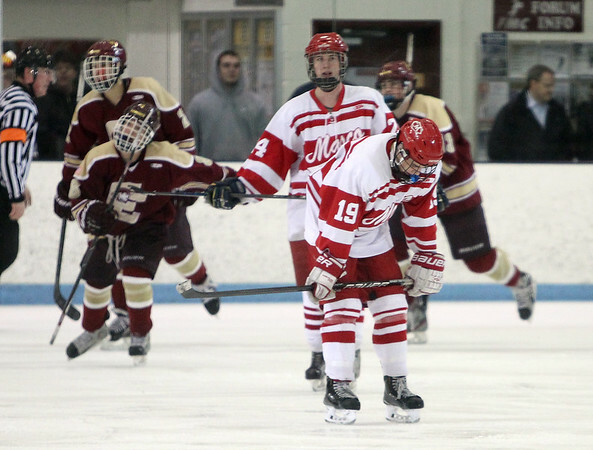 Masco junior forward Joseph Mazzochia (19) puts his hands on his knees in frustration after another Concord-Carlisle goal. The Chieftans fell to the Patriots 5-1 in the D2 North Semi-Final at Chelmsford Forum in North Billerica on Wednesday evening.